We know the rhetoric, but what do we actually do when we make a mistake…especially when it has repercussions beyond ourself? I recently experienced this. I made a mistake that, like a pebble in a pond, reverberated in various directions of my life. Initially there was a time of shock where I was trying to fathom just what had occurred. I then went into a state of denial and a bit of quiet blame. My next default position was to ‘attack’ - to push out the reverberations and try to disperse the responsibility from myself. Alongside this I was also in mitigation mode - what could I do to minimise the impact? I then quickly moved into self blame and a whole heap of self-flagellation. Finally I came through to a more conscious thought-processing mode and was able to see a way forward. PHEW! There are two powerful awareness techniques I like to use when self-situating. 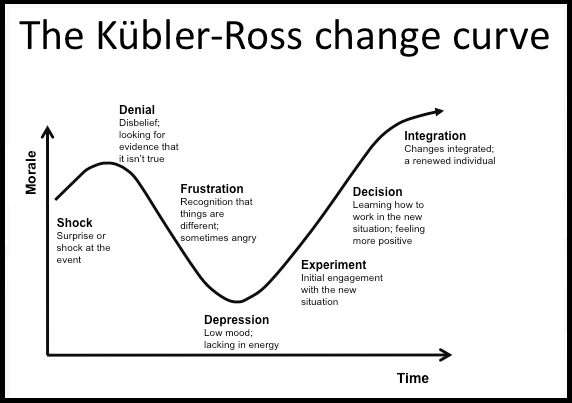 Kübler-Ross reconfigured the grief cycle around the stages someone goes through during a change process and I think it has merit in this context. The second frame I like to use to self-situate when going through turmoil comes from the field of counselling - the Emotions Tree. 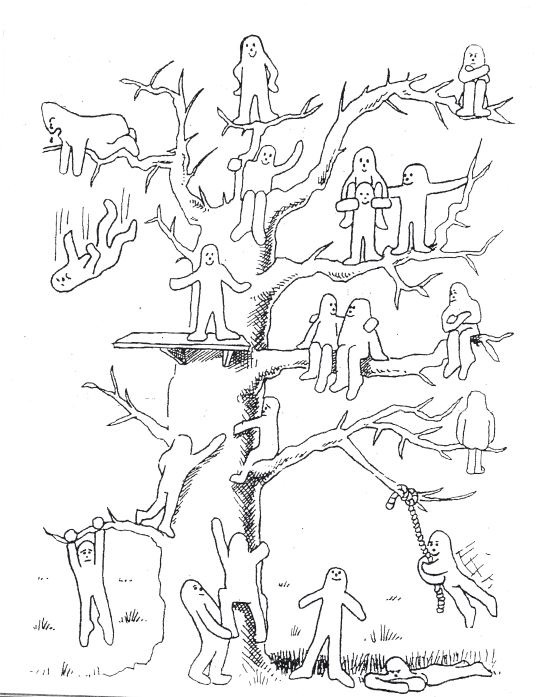 At any one point of my experience, I can locate where I am on the tree… even if it is hanging on by the skin of my teeth; albeit self-drawn ;-). I noticed my patterns of behaviour. I noticed my default positions. I noticed the journey I went through. I noticed how long it took me to work my way through. I noticed who helped me along the journey. I noticed what they did. And I also noticed how long this turn-around would’ve taken me ten years ago. What are your defaults when the proverbial hits the fan? How would you map and timeline your journey? What holds you in one place or helps you to get unstuck? What do you need to do for yourself when in this situation? What might you call-on from others? When might the word ‘sorry’ need to be used? Newer PostWhen might a strength become your achilles heel? Older PostWhat a difference a word makes.